When Pae was again asked to sit down, he grew “more agitated,” according to an affidavit from an FBI agent, and started yelling that there “is no God.” From there, the affidavit adds, “Able-bodied passengers were asked by the flight attendants to assist in placing the man’s hands and feet into restraints.” Pae was then forcibly placed in his seat. Things get significantly less funny from here, because Pae was clearly not well: his attorney told the AP outside the courthouse that his client was a 72-year-old retired farmer who traveled from South Korea to celebrate his 40th wedding anniversary. He only recently took up yoga to combat anxiety, the attorney added, and told the FBI he’d been unable to sleep for 11 days. 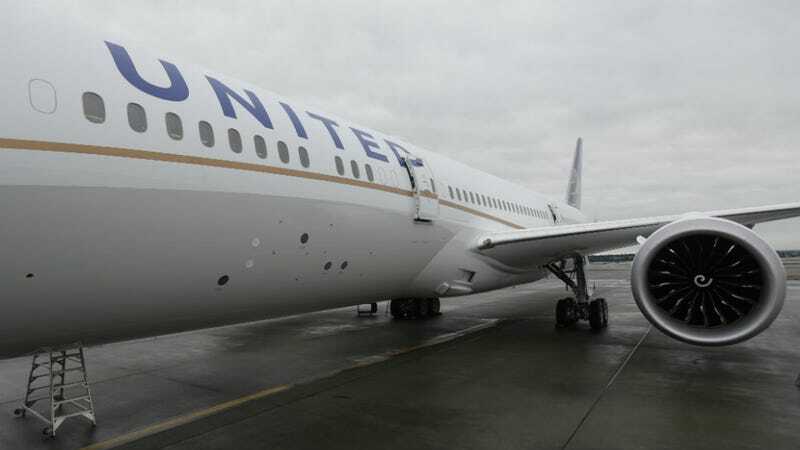 Pae said in an FBI interview that he shoved his wife because he felt like she was “siding with the flight crew.” He also said he was unaware that it was illegal to disobey a flight attendant. It is: he’s charged with Interference with Flight Crew Members and Attendants. If convicted, he faces fines or up to 20 years in jail. The AP reports that an assistant U.S. attorney said Pae “urinated on himself” and was placed on suicide watch while he was detained in Honolulu. A judge ordered Pae released on a $25,000 bond, but he’s not permitted to leave the island of Oahu or fly home to Korea, since that entails getting on a plane again. Court records show he’s also been required to undergo a mental health evaluation and has had to surrender his passport.